Amanda's Parties To Go: NEW Candy Christmas Collection in the Shop! 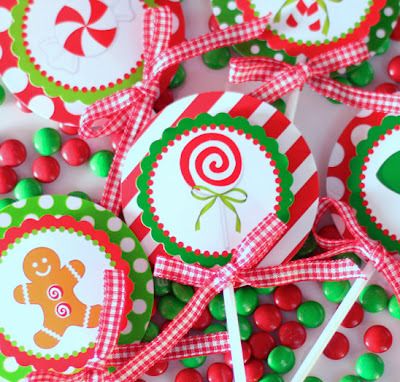 NEW Candy Christmas Collection in the Shop! 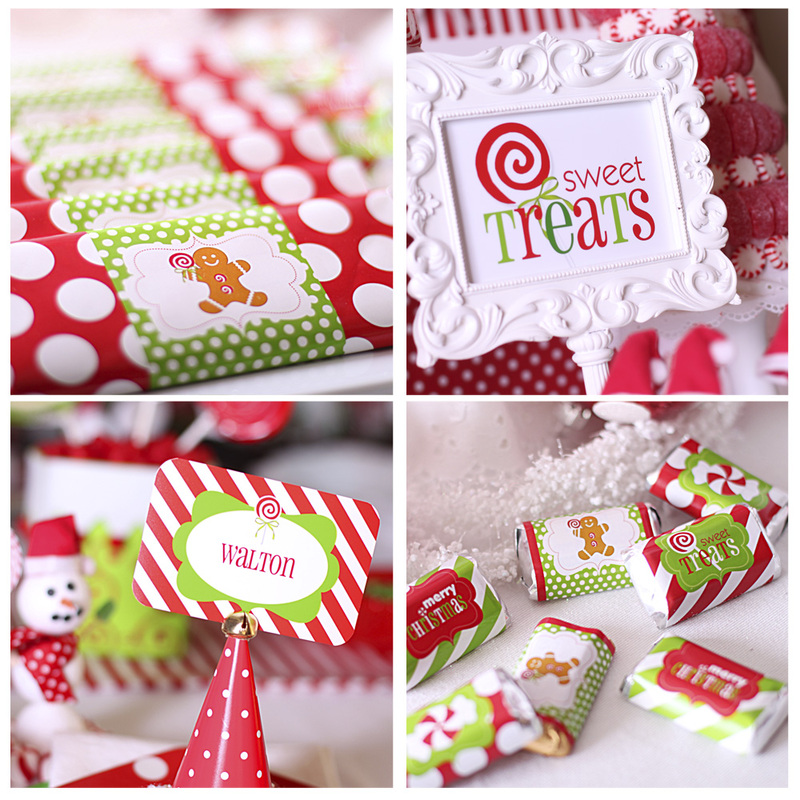 I've had so much fun designing the latest Christmas set for the shop.... CANDY CHRISTMAS! This is one I've wanted to design for quite a while now -- I love the idea of gingerbread men and candy and all things bright and cheery at Christmas time. And yes, folks, it's almost here! It's time to plan those fun holiday parties. So take a look at some of the photos I've been working on to showcase the set. I hope you love it as much as I do! 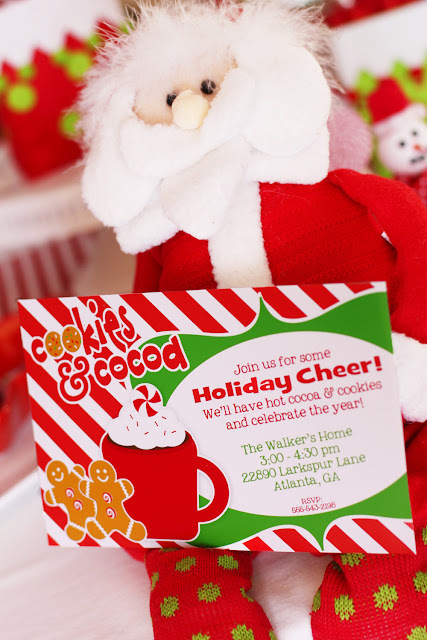 or name cards, party signs and more. 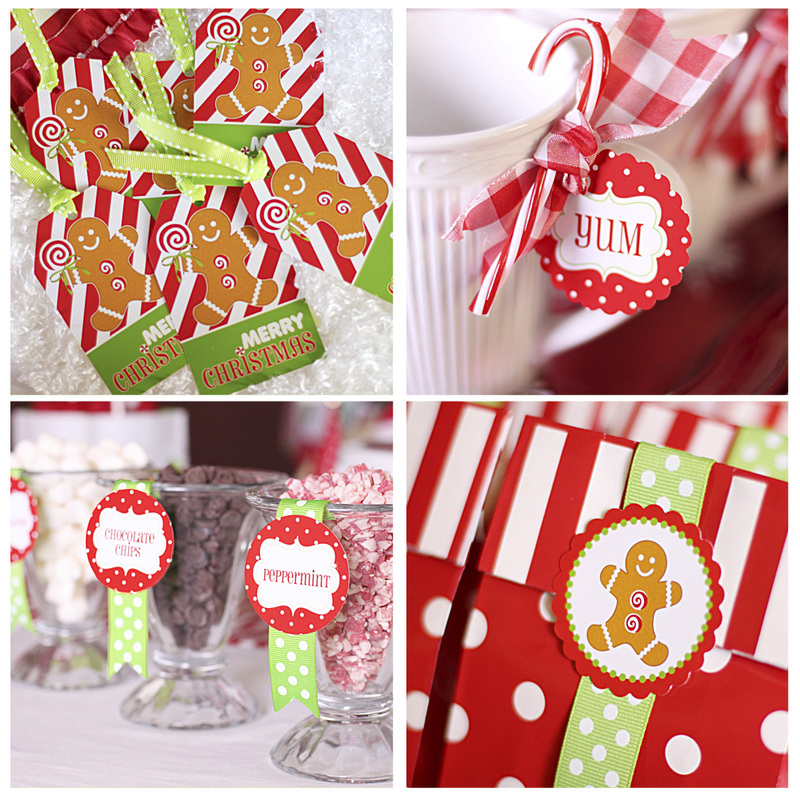 Here are some of the favor tags, "Yum" tags, food labels and a Gingerbread man logo. The cupcake topper circles include 8 different designs and the circles can be used throughout the party space to decorate vases, jars, and more. The "yum" tags are super cute for all kinds of food and drink labels. 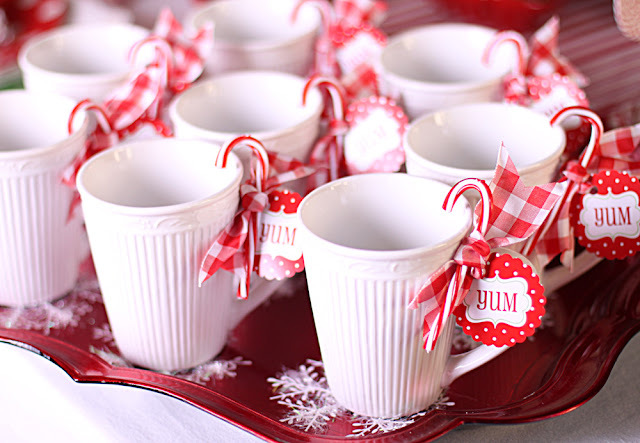 I used them here to spruce up some mugs ready to be filled with hot cocoa from the hot cocoa bar. We can't forget the invitation! 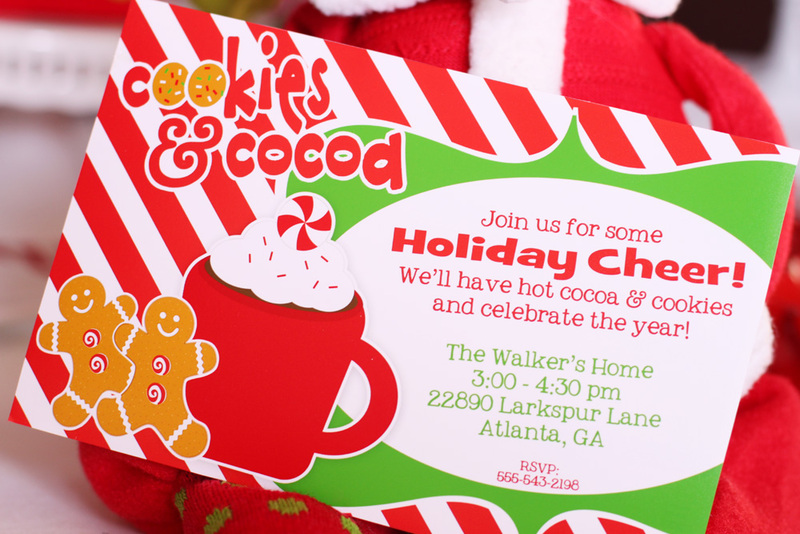 This adorable COOKIES AND COCOA INVITATION will be sure to let your guests know there is fun in store when they receive this cutie in the mail. 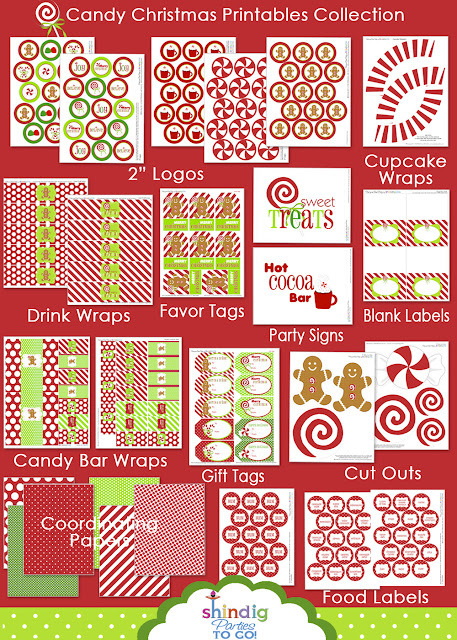 The CANDY CHRISTMAS PRINTABLES Collection is on SALE now for only $9.00 for 30 files! It's a great deal and will help you not only plan the perfect little holiday party, but it's also wonderful to use when making gifts for friends, neighbors and teachers. Amanda - as always AWESOME work! So cute! Just so cute! I love it! I don't but hopefully will have a freebie a little later in the month of Hershey's Kiss stickers to match. Thanks! Super cute printables! I would love for you to add them to our link party and giveaway over at www.freetimefrolics.blogspot.com. Those are perfect for the holidays! I see you have several invites to link up to other linkies. I hope that you will come link up at Find Your Craft Friday!!! It's my first time to your site, and I can't believe my eyes! Everything is so beautiful - I can't wait to browse the archives. Visiting from TT&J - thanks for linking up. I featured these on my blog today, feel free to come check it out! NEW Birthday Candy Christmas Printables!